Managing bovine respiratory disease is critical to keeping cattle healthy and protecting your clients’ investment. Help them consider how metaphylaxis can be used effectively in their business. Working with clients to protect their herds against BRD — the costliest disease in the cattle industry — is one of the most important parts of your business. There is a lot to consider when determining how to best manage BRD — cattle source, disease risk and treatment costs, just to name a few. Determining a protocol for BRD management is critical to protecting your clients’ investment and keeping cattle healthy. “This research demonstrated a key economic impact that is highly important in the times of narrow margins that producers are currently experiencing,” says Blue. Research with similar findings has been conducted over the years. 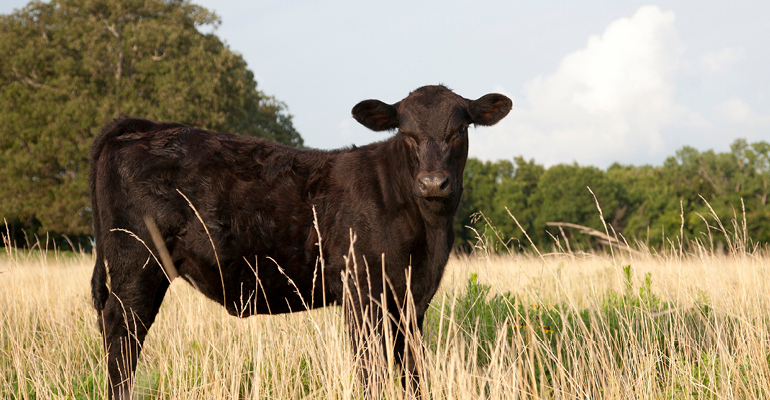 Pfizer Animal Health conducted an on-arrival study2 with 4,080 high-risk cattle in Colorado, Indiana, Nebraska and Texas. The results showed that Micotil pulls decreased after day 14, while Excede pulls increased during the same time frame. Micotil allows you to work with your clients to provide the best dose for those cattle based on their weight to ensure they are protected. In more than 100 million head of cattle, Micotil has provided dependable results, earning confidence as a flexible BRD solution that can help reduce deads and pulls.5 In 30 of 35 studies, Micotil significantly reduced pulls.5 To learn more about recommending Micotil, talk to your Elanco sales representative or technical consultant. Micotil is indicated for the treatment of bovine respiratory disease (BRD) associated with Mannheimia haemolytica, Pasteurella multocida and Histophilus somni, and for the control of respiratory disease in cattle at high risk of developing BRD associated with Mannheimia haemolytica. Before using this product, it is important to read the entire product insert, including the boxed human warning. Caution: Federal (USA) law restricts this drug to use by or on the order of a licensed veterinarian. Not for human use. Injection of this drug in humans has been associated with fatalities. Keep out of reach of children. Do not use in automatically powered syringes. Exercise extreme caution to avoid accidental self-injection. In case of human injection, consult a physician immediately and apply ice or cold pack to injection site while avoiding direct contact with the skin. Avoid contact with eyes. Always use proper drug handling procedures to avoid accidental self-injection. Consult your veterinarian on the safe handling and use of all injectable products prior to administration. For use in cattle or sheep only. Inject subcutaneously. Injection of this antibiotic has been shown to be fatal in swine and non-human primates, and may be fatal in horses and goats. Do not use in lambs less than 15 kg body weight. Do not use in female dairy cattle 20 months of age or older. Use in lactating dairy cattle or sheep may cause milk residues. The following adverse reactions have been reported: in cattle: injection site swelling and inflammation, lameness, collapse, anaphylaxis/anaphylactoid reactions, decreased food and water consumption, and death; in sheep: dyspnea and death. Micotil has a pre-slaughter withdrawal time of 42 days. Elanco supports the use of shared class antibiotics for therapeutic uses while under the oversight of a veterinarian. More details on Elanco’s Antibiotic, Welfare and Sustainability Policies can be found on www.elanco.com/antimicrobialpolicy. 1Hawley, J., Powell, J. et al. 2016. “Comparison of ceftiofur crystalline free acid to tilmicosin for metaphylactic treatment of calves at risk for bovine respiratory disease.” University of Arkansas Research and Extension. 3Independent data. Data on file. 4Elanco Animal Health. Data on file. 5Elanco Animal Health. Data on file. Micotil, Elanco, and the diagonal bar logo are trademarks of Eli Lilly and Company or its affiliates. © 2017 Eli Lilly and Company or its affiliates.